Sagem signs life-cycle support contract for STRIX sights on French army Tiger helicopters. 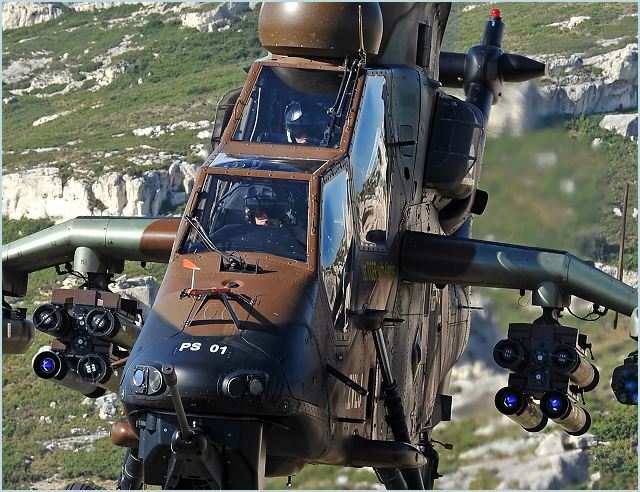 Sagem (Safran group) signed a contract with SIMMAD to provide life-cycle support for the STRIX turret-mounted, gyrostabilized observation and sighting systems on Tiger HAP combat and fire support helicopters deployed by the French army's air arm (ALAT). The five-year contract covers 50 STRIX systems and associated logistics. It includes support by the hour for curative maintenance and a flat rate for preventive servicing of certain line replaceable units. Covering both France and overseas theaters of operation, the contract also provides for Sagem to set up a dedicated hot line in conjunction with ALAT units operating Tiger helicopters. Contract services will be provided by Sagem's Dijon and Poitiers plants for optronics modules, and by the Montluçon plant for the gyroscopic stabilization devices. The STRIX optronic turret, mounted over the cockpit, is a major part of the Eurocopter Tiger's weapon system. On the HAP version of the Tiger, the STRIX system provides full day/night support for all missions: observation, reconnaissance and target identification, along with the operation of its weapon systems, the 30 mm cannon, rockets and Mistral air-to-air missiles. During combat operations in the summer of 2011 (Opération Harmattan, French contribution to Nato operation Unified Protector), the STRIX sight demonstrated its efficiency on deployments the French navy's Tonnerre and Mistral BPC class amphibious assault, command and power projection ships, in mobile air support operations that proved decisive in the conflict. These systems have been deployed in Afghanistan since 2009, within the scope of the PAMIR operation. Sagem is the European leader in gyrostabilized optronic systems for military helicopters. It develops and produces the entire STRIX and OSIRIS observation and sighting systems for all versions of the Eurocopter Tiger helicopter, deployed by Germany, Australia, Spain and France.